Swissport, based out of Opfikon, Switzerland, has partnered with Olam to solve various problems in its airport ground and cargo handling business, as reported by Air Cargo News. Swissport is an aviation company that provides services to handle airport ground and cargo, managing close to 265 million passengers and 4.7 million tonnes of cargo annually. Swissport, based out of Opfikon, Switzerland, has partnered with Olam to solve various problems in its airport ground and cargo handling business, as reported by Air Cargo News. Swissport is an aviation company that provides services to handle airport ground and cargo, managing close to 265 million passengers and 4.7 million tonnes of cargo annually. The inefficiencies in supply chains management in multiple industries is a key problem faced by plenty. Taking this problem to heart, Olam was established as a not-for-profit organization and aims to solve chaos in supply chains around the world using its open source, DLT-based platform which includes smart contracts, APIs, and protocols to facilitate multi-user communications. Hendrik Leyssens is the head of global cargo operations at Swissport and believes that blockchain can improve supply chains by introducing transparency within the system. Florian also mentions that blockchain changes the way businesses work with each other in the complex aviation and logistics ecosystem. While Winding Tree has partners like Lufthansa, Swiss, Eurowings along with some other hotels and airlines, its partnership with Swissport will include providing ancillary ground travel services to its customers. 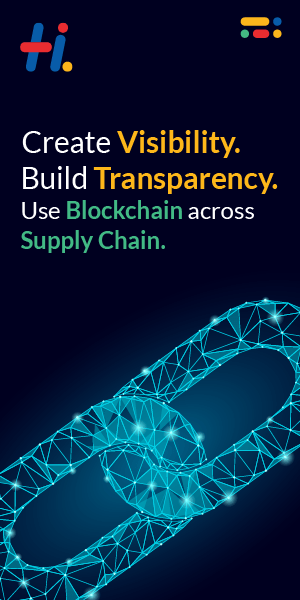 Using blockchain in solving problems related to supply chain management can provide benefits like enhanced transparency, better scalability, and less wastage. A few months back, IBM along with Maersk, created a blockchain-based solution for shipping cargo management and aims to save billions of dollars for the shipping industry annually. The difficulties of changing to a new system of management may be difficult but, if adopted, it can create a huge upside in the long run.